Connie is from Viroqua, Wisconsin, a small town in the Kickapoo River region of Southwestern Wisconsin. She became involved in Guatemala in January, 1994 on a delegation accompanying the return refugee community of Nueva Esperanza-Chaculá to their home in the department of Huehuetenango, Guatemala. 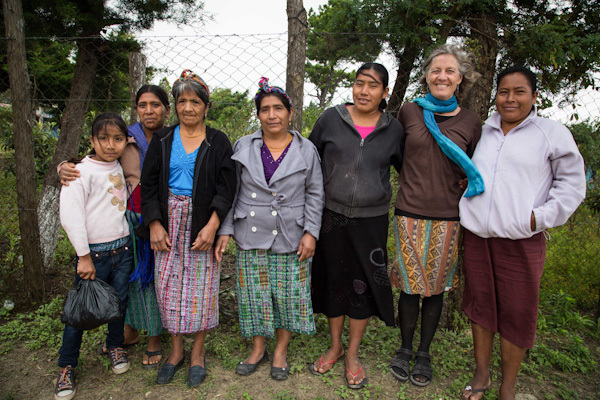 When the Guatemala Accompaniment Project (GAP) was created in 1995, Connie initiated KGAP (Kickapoo-Guatemala Accompaniment Project) and served as the 1st KGAP sponsored accompanier in Nueva Esperanza-Chaculá in 1996. She continues to coordinate fundraising efforts and yearly delegations to Guatemala and collaborates with other sponsoring communities in the NISGUA/GAP network.